Raid and Trade has players struggling for survival in the aftermath of the a third World War. The aim of the game is to level up your character and complete three missions; missions typically involve hoarding a particular quantity of resources. To gain these resources you employ the titular raiding and trading, raiding abandoned buildings and trading with other players. If these methods fall short you can also attack other players in an attempt to steal their precious hoardings or you may be able to craft the items you need. MAGE Company has obviously done a lot of work on the graphic design and style, because they’ve managed to make a bright colourful and cartoony world, that still looks downtrodden and falling apart. You can’t have Kickstarter project these days without miniatures and of course all your character tokens are represented in all their glory. 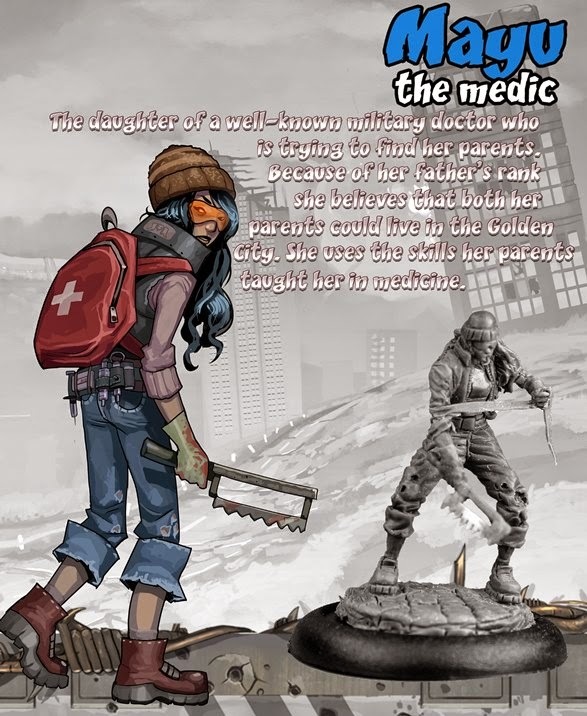 Raid and Trade certainly looks like it has the hallmarks of an interesting game; exploration, global events and plenty of opportunity for player interaction and it is a post-apocalyptic game that doesn’t include zombies. Raid and Trade is looking for $15,000 and MAGE Company have a good track record of completing their projects.